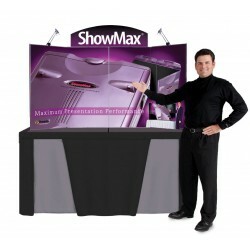 The ShowMax table top display is the ultimate in self-packing trade show displays. The ShowMax has a graphic area of 73.75" x 35.875". 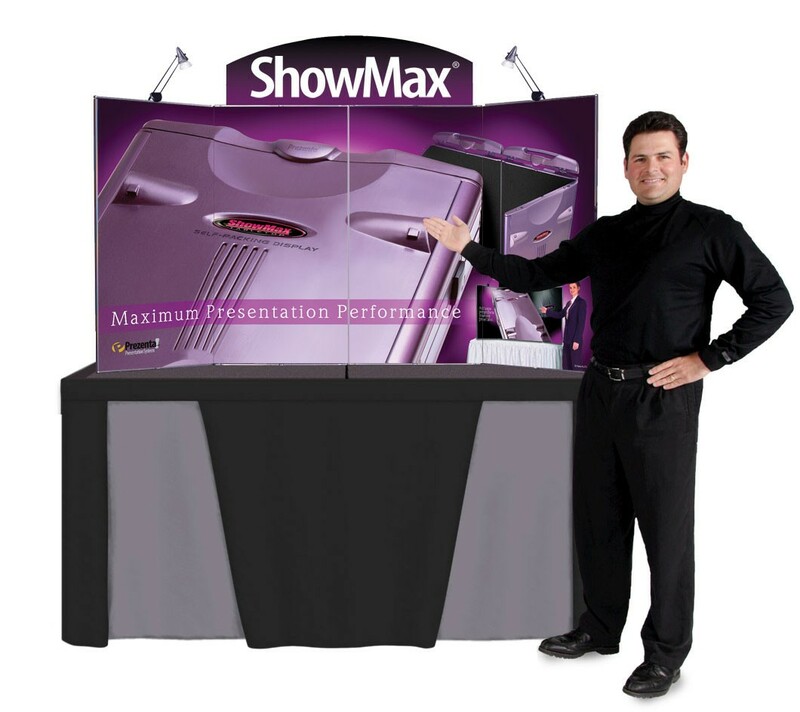 The ShowMax self-packing table top display is designed for trade show professionals. Self-packing displays are a special class of table top display where the display becomes it's own case when it's folded up for travel, with the graphics still attached. Halogen lights and header are included, and they pack into special padded compartments for travel, so there is no bulky or awkward pieces to transport separately. Set up is as easy as unfolding the display and inserting the header and lights with no cases or packing materials to put away. When the show is over, the header and lights fit back into special compartments, and there are even spaces to hold spare bulbs and literature right in the case itself. 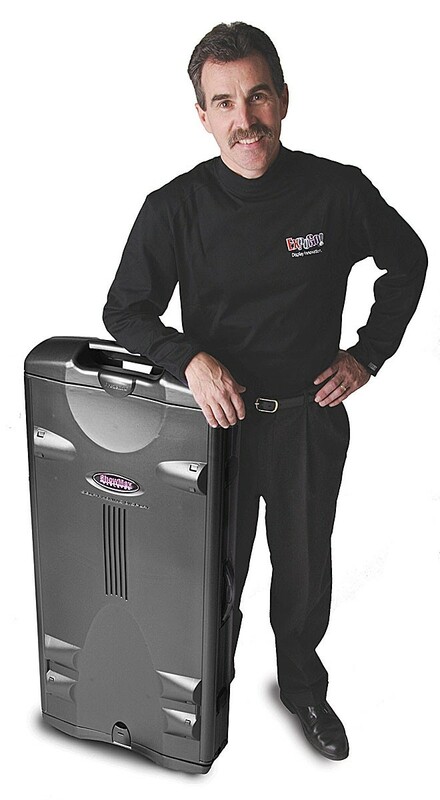 The ShowMax has a retractable handle that is hidden when the display is in use, and built in inline skate wheels with sealed bearings make transportation smooth and easy. 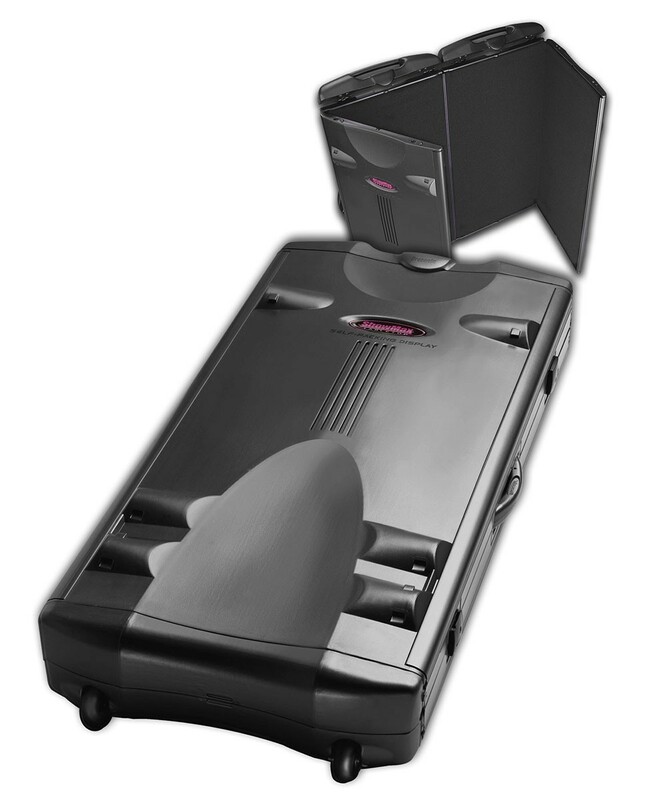 Once folded for transport, Franzen precision lockable latches keep the ShowMax securely closed until the next show. 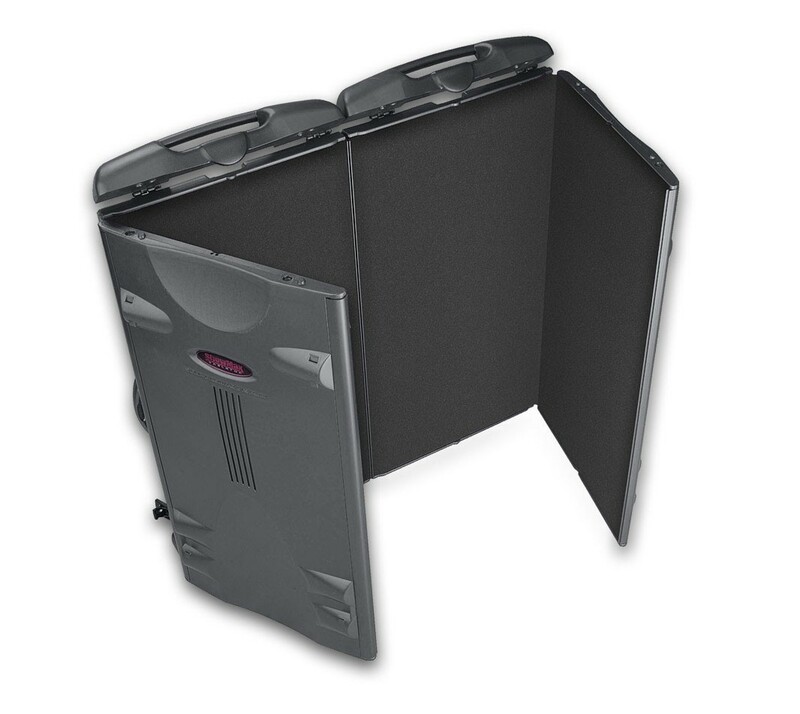 The ShowMax self-packing table top display has a graphic area of 73.75" x 35.875". There is no higher end self-packing display. 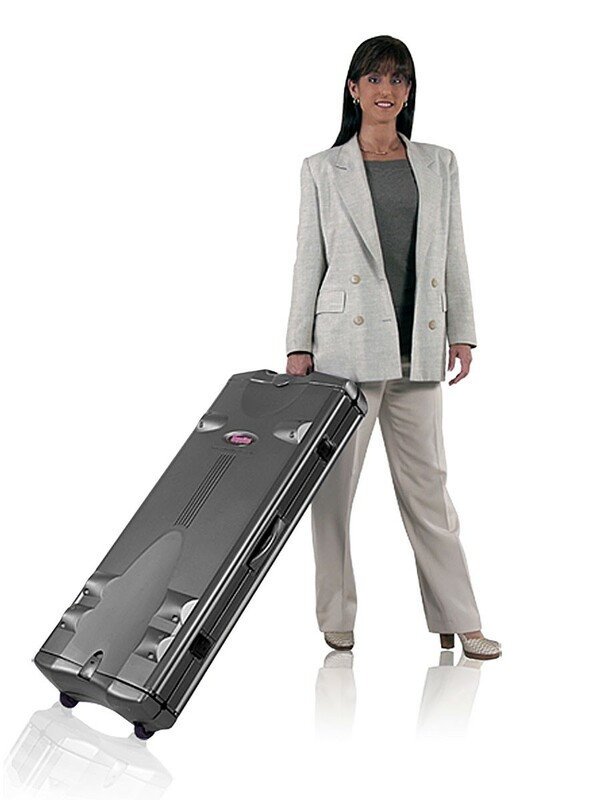 The original ShowStyle Pro 32 is a less expensive, and smaller briefcase display. A padded canvas bag is available for ShowMax displays that adds a shoulder strap, for those that would rather carry the display instead of using the built in wheels. 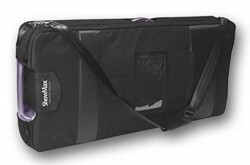 The padded canvas bag also protects the exterior of the display during transport. Exterior dimensions when folded: 43" x 19" x 7"
Header graphic dimensions: 34.5" x 9.625"
Side graphic panel dimensions: 18.375" x 35.875"
Shipping size: 44" x 20" x 8"